Click here to be notified about upcoming classes, bookstore offers, and special events. Hermetic Philosophy, as outlined in The Brotherhood of Light Lessons offers responses to these questions. It teaches that we humans are composite beings, comprised of both physical and non-physical counterparts. The study of genes, DNA and heredity can offer insights into the functioning of our physical beings, but falls short in answering questions about our mind, consciousness and the soul. 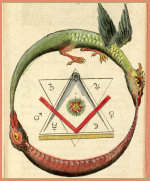 Hermetic Astrology offers insights into the functioning of our non-physical beings, and in many ways operates as a key to our spiritual DNA, describing the inner workings of our not-conscious mind or soul. 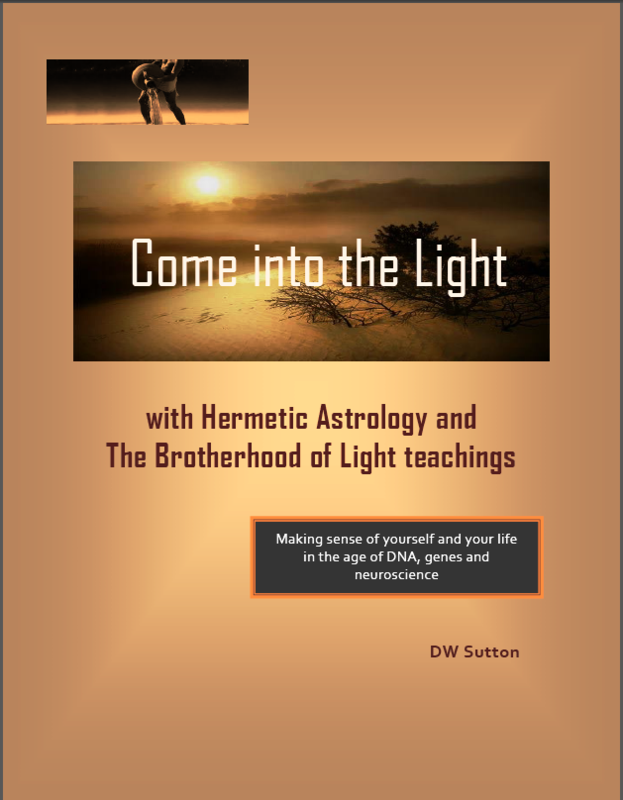 Come into the Light explores the Hermetic Worldview in an easy-to-understand language. It stands up to Atheistic Materialism and suggest that there is a path where science and religion are compatible – that path is Hermeticism. It proposes that the best path to self-knowledge is through having a map of your soul – your birth chart, and that the best approach for understanding that map is Hermetic Astrology. 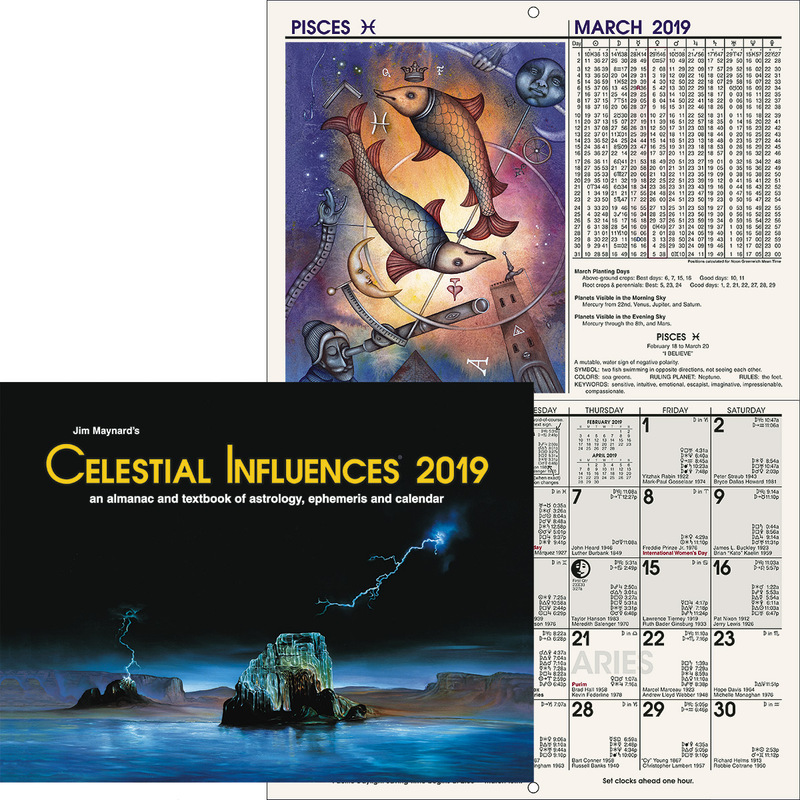 An added benefit, this book contains a glossary of astrological terms and copious notes and references. 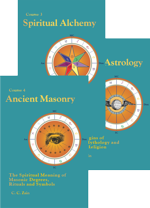 The author, Dennis Sutton, has over 30 years’ experience with Hermetic Astrology and The Brotherhood of Light Lessons, and in his own language seeks to describe the evolution of the soul, its descent into matter, and its journey back to spirit. He explores the origins of this thing called “life,” and describes how each person is a unique and individual expression of the divine searching to fulfill his or her mission in the Cosmic Scheme of Things. He offers insights into the workings of nature, and the nature of the soul. Dennis generously offers his writings as a fundraising effort for The Church of Light. This is a PDF eBook distributed via a download link in your email receipt. Register for 2019 Conference Here!